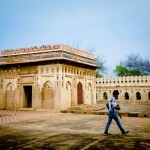 Or there is nothing in Gobindgarh Fort , what will you do there ? “if you have the journey in you, the path will find you” So after our Amritsar Heritage Walk, I was delighted to learn that we are going to Gobindgarh Fort to see how it is being restored back to glory. 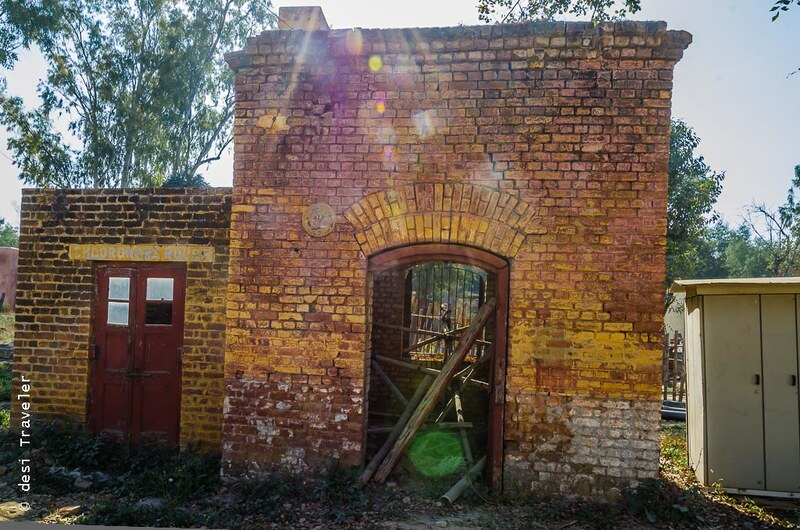 Brief History of Qila Gobindgarh: Finally my time to see the historical fort in Amritsar that dates back to the turbulent times of 1760 and the fort was under control of Bhangi Misl or the Army of Bhangis. The name Bhangi has an interesting origin. One of the powerful general of the Misl (or the army of Soldiers, with loyalty towards the local leader) was addicted to Bhang or what is today called as Grass, Cannabis or Weed. So his army came to be known as Bhangi Misl. Anyways long story short, the Gobindgarh fort was conquered by the army of Maharaja Ranjit Singh in 1805 and was further strengthened with moats, walls and cannons. Advertisement : Remember my encounter with Buying Seeds in Amsterdam ? The entry to the fort passes through multiple sloping zig zag entry passages to slow down any invading armies and you keep on passing from one gate to another each turn slowing down the march of the enemy. 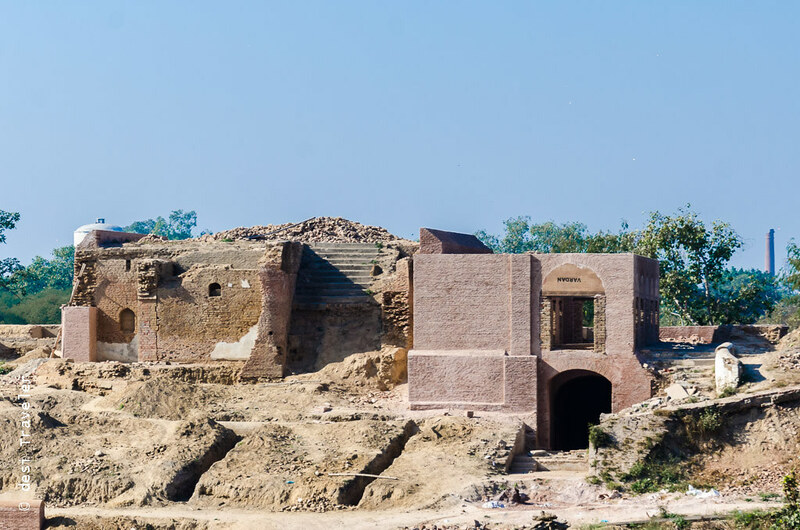 The Qila Gobindgarh was a major fort during the times of Maharaja Ranjit Singh with 12000, soldiers stationed here to protect the fort and the royal treasury kept in Toshakhana. 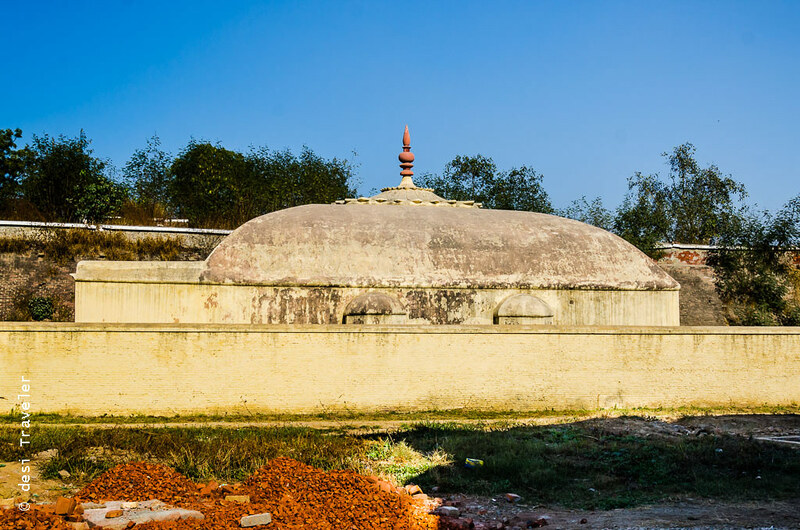 It was during the reign of Maharaja Ranjit Singh that the fort was named Gobindgarh in honor of tenth Sikh Guru and founder of Khalsa – Shree Guru Gobind Singh Jee. After the reign of Maharaja Ranjit Singh the fort passed to the British who added a few buildings and barracks to the same. After Independence the fort was in control of Indian Army, who later handed it over to Bharat Sarkar who passed it to government of Punjab. Present Status: Now the fort is being restored painstakingly by Punjab Heritage & Tourism Promotion Board. We were lucky that the Punjab Tourism gave us a firsthand visit to the fort, just one of the little perks of being a travel blogger. 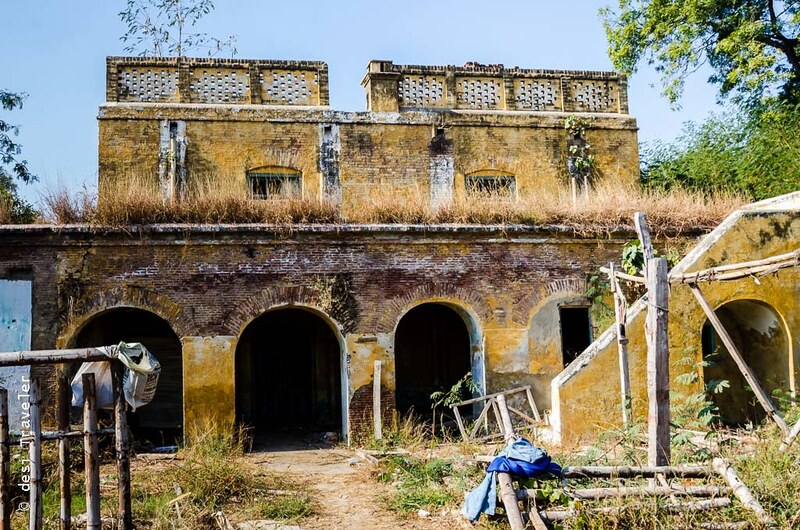 The Gobindgarh fort is still in renovation and has weathered many an attacks, both from enemies as well as time and today the brick and mortar fort surrounded by double moats lies in ramshackle condition. 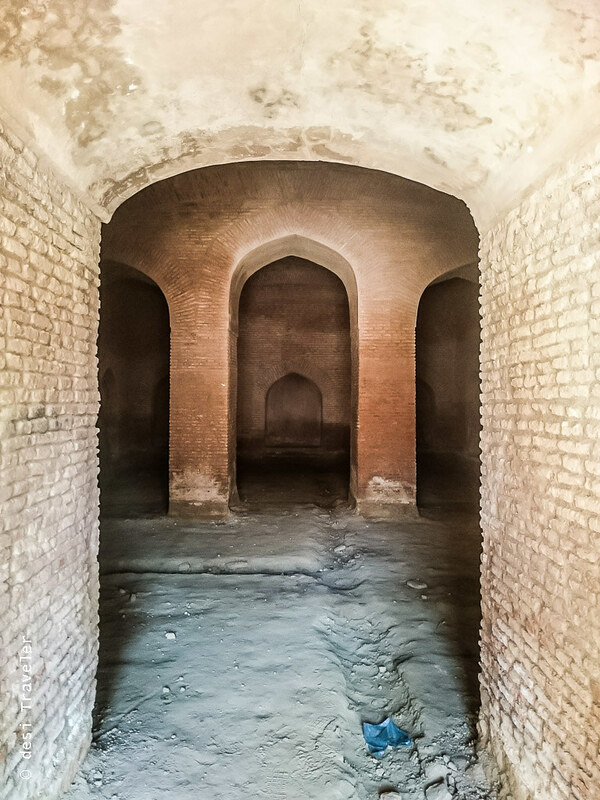 We walk pass various buildings in the complex – The Darbar Hall built during the British Time, and where a museum / art center is planned, then the central smaller fortification inside the fort, which is wrapped by stairs on both sides. I am told this is where General Dyer came to hide after ordering the Jallianwala Bagh Massacre. 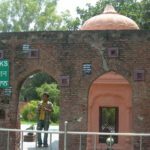 A short walk from the central fortification is the Toshakhana where the treasury of Maharaja Ranjit Singh was kept, including as per belief the famous Kohinoor Diamond. We learn about the restoration of the fort and how the bricks from same period are being painfully procured from old buildings that people are demolishing and the restoration architects are using exact same building techniques and construction material that were used during the time of construction of Gobindgarh fort in the 1800s. 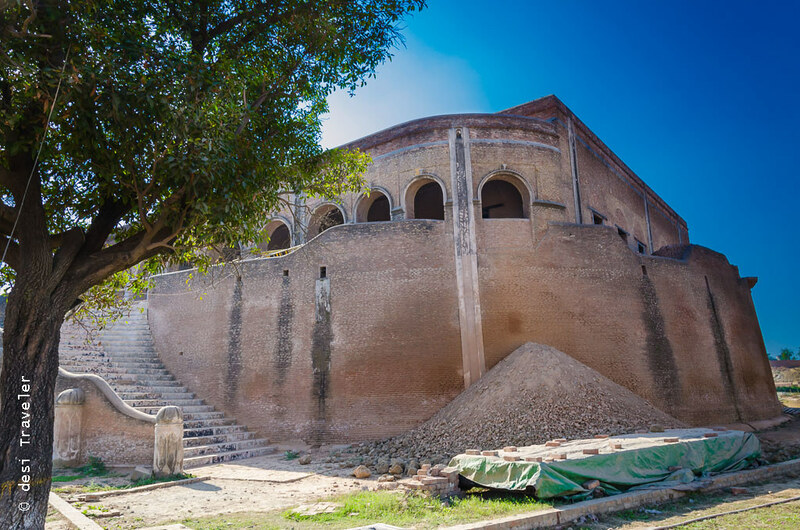 There is a lot to be done before the fort becomes fully functional and restores its former glory from the times of Sikh Empire. But what gave me the shivers was standing right next to the Fansi Ghar or the Hanging House where many a freedom fighters were hanged during the British times right here in the Gobindgarh Fort. 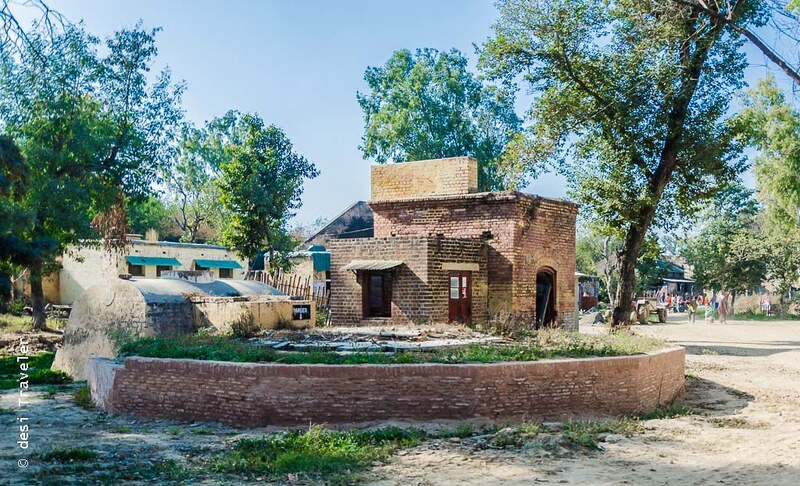 Another peace of history that I hope is restored is the Persian well at the back of the central building that will become the museum of arms or Shastra Ajaeb Ghar. 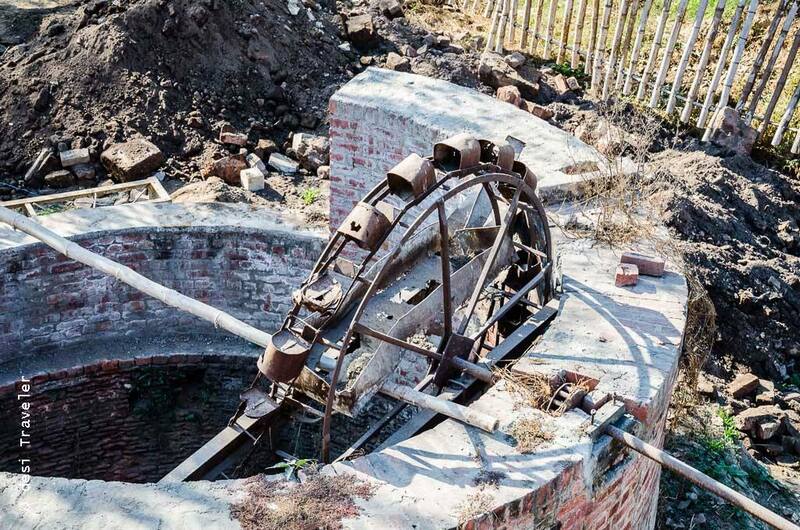 In those days when there was no piped water the Persian Wheel must have been the main source of drinking water in the fort. 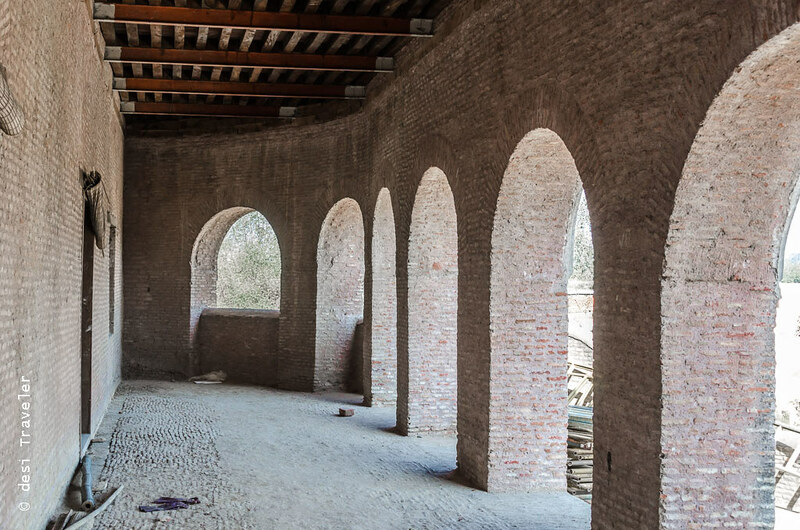 Some of the plans include are opening of a museum of Sikh History in the building, have space for visitors and locals to come and watch art installations and performances to convert the Gobindgarh fort into a hub of activity for the people of Amritsar. With this dear readers I leave you with this video created by CRCI or Cultural Resource Conservation Initiative . Watch Ms Gurmeet S. Rai, Conservation Architect and Director, CRCI India Pvt. Ltd, who is actively involved in restoration of the fort and vision for the future of the Gobindgarh fort. I hope you liked this part one of the video if you like you can also watch Part 2 and Part 3 here. 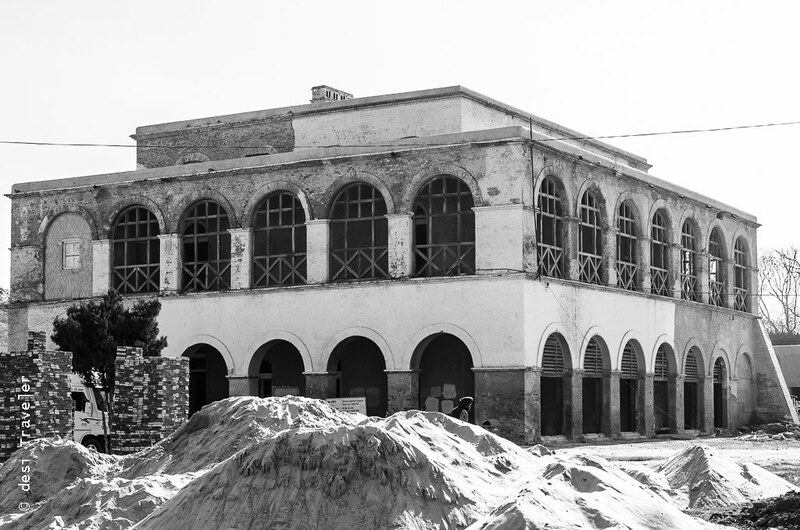 I liked Part 3 a lot as it takes you through the future vision for the Gobindgarh Fort as a people, art, history and cultural hub in Amritsar. How To Reach : Gobindgarh Fort is only 2.5 KM in the North West direction from Shree Harmandir Sahib or Golden Temple . 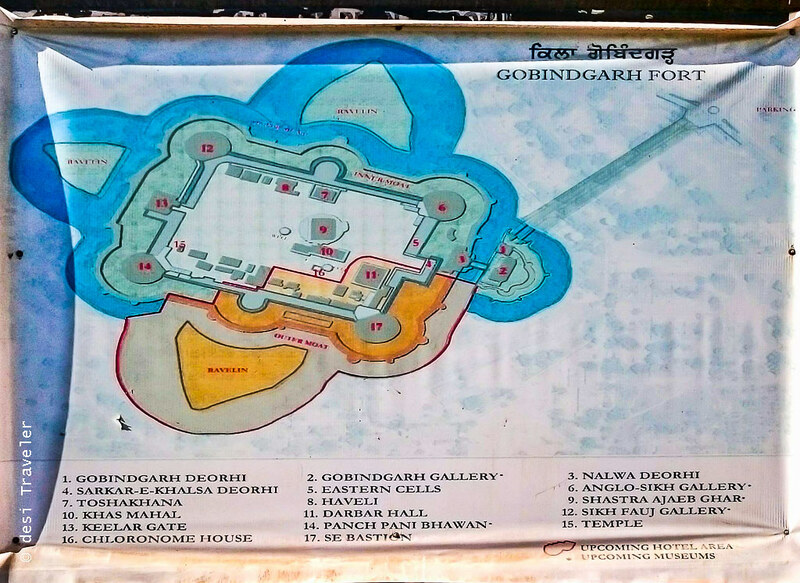 You can just follow this map to the Gobindarh Fort. I was at the Gobindgarh fort for a very short duration as it was special visit organized by our host Punjab Heritage & Tourism Promotion Board. 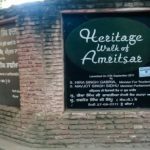 But I am sure once the fort is fully resorted it will be a major attraction for both locals as well as tourists to the city of Amritsar . 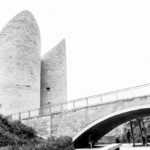 Excellent post, you have mentioned all my favorite destinations. I love to visit Punjab. 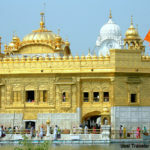 Thanks for such beautiful informational content, hire luxury Tempo Traveller for Punjab visit. Reminiscence of grand Indian History!! Thanks Anupam.. I too hope the restoration is completed soon.. but it is very delicate work and requires a lot of patience.. This fort seems like and excellent place to visit. Never heard of this place but would certainly like to visit. 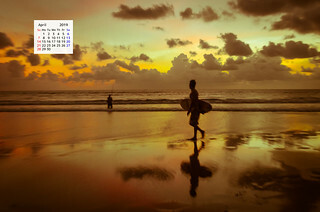 Great description and photos. As usual a great post once again. Thanks Abhilasha..I am sure you will enjoy your visit to Gobindgarh fort..